t was a glorious afternoon in late April 1998, the day of the annual Pilgrimage to the tomb of Mother Mary Joseph. The crowds had gone and I was alone in the small side chapel where, as well as Mother Mary Joseph, Blessed Dominic Barberi and Father Ignatius Spencer, both Passionist priest, had their resting place. Meditatively I lit a candle, 'For Blessed Dominic Barberi. May he soon be a canonized saint', I whispered. and Elizabeth Prout, only child of a respectable tradesman, born in Shrewsbury, Shropshire, England, should cross each others' paths in such a strange and significant way that they ended up in what the local people call 'The Shrine of the Three Saints' here at St Anne's beautiful Passionist church in Sutton, Lancashire, England. But Saints aren't born in churches, and they don't live in stained glass windows! These three people from three differenct worlds are connected because they each heard a voice - the voice of God. He asked them to do something for him that would change their lives and, in the end, the lives of countless others. The three of them said 'Yes' to the voice of God. And saying that 'Yes' cost them everything they had. This is the story of one of these three, Elizabeth Prout: the Servant of God. Mother Mary Joseph, whose cause for Beatification is now going forward in Rome. Elizabeth Prout was born in the historic border town of Shrewsbury, England, on September 2nd 1829, and was baptized into the Church of England on September 17th. Her father, Edward Prout, was a baptized Catholic who no longer practised, her mother, Anne Prout, was a devout Anglican. Edward Prout was a skilled craftsman, a cooper. He made casks in which the brewery for which he worked stored its beer. He lived in a house near the brewery at Coleham, on the outskirts of Shrewsbury town, with his wife and daughter Elizabeth until Elizabeth was eleven years of age. Life in Shrewsbury would have been pleasant and comfortable for the only child of Edward and Anne Prout. Her childhood experiences would have included going to Sunday School at the twelfth-century Benedictine Abbey (now immortalized in Ellis Peters' series of medieval who-dunnits: The Cadfael Chronicles), perhaps a visit to Shrewsbury's ancient castle or to see the stained glass windows in St Mary's Church. Her earliest schooling was probably the Infants School in Coleham, followed perhaps by the National School at Coleham Head. She would have been three years old when Charles Mackintosh invented the Mackintosh, described in the papers of the day as 'the latest, perhaps the most suitable, fashion being worn in Manchester'. And she was five when the world's first steam railway opened and, to the amazement of the onlookers, Stephenson's Stockton to Darlington run achieved a speed of 12-16 miles per hour! But when Elizabeth was eleven, an event happened which affected the Prout family more closely. The Coleham Brewery closed down and Edward Prout was out of work. Nothing is known of their history for almost the next ten years. By then, 1841, the Prout family were living in Stone, Staffordshire, and Edward Prout was again working at his trade in the local brewery. For these intervening ten years Elizabeth Prout is 'a woman wrapped in silence'. We can only guess what her young adolescent years were like from what we know of the social history of her time, and from Elizabeth's character as we later come to understand it. Her parents had a very deep affection for their daughter which Elizabeth as warmly returned. Her poise, sound judgement, ability to express herself and to teach others, qualities that stood out in her later years, suggest that she had a happy home life, secure in the attentive love of her parents for their only child, and strong in her Christian faith. In Victorian England, women of the Prouts' social class would have been brought up with 'marriage, motherhood and domesticity' as their only goals and Elizabeth's mother would have prepared her daughter for this. Professional careers were not open to women and Elizabeth would not be educated for employment and would not expect that she would ever have to obtain paid work. In her late teens her parents would be looking forward to their daughter's getting engaged and eventually marrying an eligible young man from the parish. No doubt Elizabeth herself, too, had her romantic dreams; after all, she was young, quite beautiful, cultured and a well-trained housewife. Happy the man who would win her favour. Dominic Barberi (now Blessed Dominic) was born and brought up in Italy. His father was a farm worker and in the ordinary course of events Dominic would marry a local girl, work on the farm and take over when his father died. Instead, he became a Passionist priest, led the Passionist Mission to England, and established the first Passionist community in England at Aston Hall, two miles from Stone, on February 18th 1842. He accepted charge of Aston Parish, which included Stone and the neighbouring villages, and in November 1842 rented a room in Stone's 'Crown Inn' where he celebrated Mass on Sundays at 11.00 a.m. As he and his companions walked from Aston Hall to the Inn, they were insulted and stoned by gangs of drunks and wastrels. This happened every time, but Dominic and his companion continued to brave the attacks of their persecutors. John Henry Newman had once written about the Catholic Church: 'If they want to convert England, let them go barefooted into our manufacturing towns, let them preach to the people like Francis Xavier - let them be pelted and trampled on, and I will own that they can do what we cannot. I will confess that they are our betters far'. Dominic did exactly that. And in 1845 Newman acknowledged it by asking Dominic Barberi to receive him into the Catholic Church. On September 2nd 1841 Elizabeth Prout celebrated her twenty-first birthday. The next few years were spent, happily and contentedly in the snug security of her comfortable home where her grandmother (her mother's mother) and a three-year-old adopted boy now too lived. She loved mothering young Charles and her ringing laugh as she played with him brought joy to Anne Prout's heart. 'What a loveable girl Elizabeth is,' she thought, 'and how sweet and even-tempered'. And she busied herself getting Elizabeth's 'bottom drawer' ready, confident that any day now her daughter would be announcing her engagement to one of those nice young men from St Michael's. But Elizabeth's 'yes' was to a very different offer. Some time between the years 1843 and 1846 she became Catholic. She, like Newman, was probably received into the Church by Dominic Barberi, though there is not written evidence for this. The news was a deadly blow to her devoted parents. Catholicism at the point in English history was the most hated, most despised religion in the country, its adherents blamed for every disorder. Elizabeth must have realised the suffering her decision to become a Catholic would cause; she agonised over it, but in the light of Dominic's public lectures in which his 'great learning and gentle charity' were equally in evidence, she saw clearly that for her, as for Newman, the moment of truth had come. She witnessed Dominic's patient endurance of his ill-treatment by the mob as he made his way each Sunday to the Crown Inn to say Mass, and knew in her heart that here was a man of God and she must respond to hismessage. She said 'yes' to the call, knowing well how deeply her change of religion would hurt her parents. In fact, they were not only deeply hurt; they were outraged and so angered by their daughter's 'betrayal' that they disowned her and sent her out of their house. Instinctively, Elizabeth turned for help to the Passionist priests she knew. 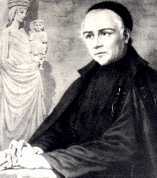 Father Gaudentius Rossi was the first Italian priest to join Father Dominic Barberi on the English mission. He was young, zealous and enthusiastic and quickly became immersed in his preaching ministry. In March 1848 he gave a mission in Northampton where a few years earlier the Sisters of the Infant Jesus, a Belgian Congregation, had founded a convent. A few weeks later, possibly a couple of months, Elizabeth Prout, now in her twenty-eighth year and obviously 'heart-whole and fancy free' as far as being in love with any of the young men who admired her was concerned, entered the convent of the Sisters of the Infant Jesus. Six months or so later, deliriously happy, she was given the religious habit and the name Stanislaus after the Jesuit boy-saint who had also braved the opposition of his parents to follow his vocation. Early in the New Year 1849, however, Elizabeth was sent home from the convent because of a tubercular knee which the local doctor said would leave her invalided for life. It was a totally unexpected set-back to Elizabeth's dream of giving herself totally to God in the obscurity of a hidden life in the Northampton convent. Yet she broke the news to Father Gaudentius with such resignation and peace that the Passionist priest was astonished. He began to glimpse something of the quality of soul of this fragile, fervent young woman. Surely God had great plans for a person of such spiritual promise, though Gaudentius. God had. Surprisingly, perhaps, Elizabeth now decided to try to return to her parents' home and, even more surprisingly, was warmly welcomed back by her parents. Anne Prout nursed her daughter back to health, convinced that the prodigal had learnt a hard lesson and would return to the Anglican fold. Her expectations were dashed to the ground, however, when Elizabeth, as soon as she could walk again, insisted on going to Mass and made it quite clear that she was going to remain a Catholic. No amount of argument, pleading or harsh treatment made any difference and all were tried. Anne Prout marvelled at the steely strength of will and character that lay beneath the outwardly gentle, smiling young woman who was her daughter. But Anne and Edward, and no doubt their Granny too, had counted on her having had a change of heart, and were once more looking forward to seeing Elizabeth showing some interest in getting married. But of course she would have to drop all this Popery nonsense! No respectable lad from St Michael's would look at a Catholic woman, however attractive - you had to agree to that - with her slight, graceful figure, sweet smile and ready laugh, and those wonderful eyes. Infuriated by Elizabeth's point-blank refusal to think about marriage, her parents renewed the physical ill-treatment of theirdaughter, depriving her of breakfast when she came in from Mass, and eventually even locking her in her room so she couldn't get to Mass. Once more it became clear to Elizabeth that she had to make a decision. Her choice lay between the security of a comfortable home with, eventually, a husband and children of her own, and freedom to practise her Faith. Again she said 'Yes' to God, chose her Faith and walked away from the affection and home of her parents. She was now almost thirty years old. The friends of the poor are God's most beloved friends. St Paul of the Cross. On Father Gaudentius' advice Elizabeth Prout went to Manchester where he found her a teaching post in the Catholic Parish of St Chad's. Elizabeth glady accepted, with happy memories of the hours she hadspent teaching in Northampton, where herpupils were mainly the children of the military officers stationed there. For the reality she experienced in the Manchester of the 1850's she was totally unprepared, and reeled under the cultural shock. Here she was, alone, penniless, a single woman in a vast and prosperous industrialised city, whose teeming population was growing greater daily owing to the steady stream of famine-stricken immigrants from Ireland. Living conditions were worse than Elizabeth could ever have imagined. The immigrants living in cellars which, dark, damp, confined, ill-ventilated and dirty, were lived in - Box and Cox-wise - both night and day. My loom is saying all day. Gaffer's too skinny to pay . . .
Up in the morning at five. I wonder that we keep alive . . . Hits a poor woman a clout. Many mill workers were incurably diseased or maimed before they were twenty-one. Though workers had been legally allowed to strike in 1824, they were far too ignorant and dispirited to make any trouble, and the powerful mill owners made sure they stayed that way. Living conditions encouraged roughness, coarseness, brutality and indifference to cleanliness, and in their scant free time the workers were too weary to do any thing but get drunk. And Yahweh said, 'I have seen the miserable state of my people. I have heard their appeal to be free of their slave-drivers. Yes, I am well aware of their sufferings. Their cry has come to me and I have witnessed the way they are oppressed. So come. I send you to deliver my people. Here I am, Lord; it is I, Lord, I have heard you calling in the night. I will go, Lord, if you send me. I will hold your people in my heart. Trusting blindly in the guidance and help of her Lord, she plunged in, knowing well that 'it is better to light even one candle than to curse the darkness'. Soon she was joined by other serious-minded young women and under the direction of Father Gaudentius they began work in the Stocks Street area of Manchester, instructing, feeding, sheltering and nursing the needy according to their slender means; and taking special care of the factory workers. Elizabeth, now a mature, attractive, accomplished and compassionate woman, totally bent on seeking God, seems to have been biding her time before once more trying to enter a convent. During this period she turned down an offer of marriage and began to make enquiries about the possibility of entering a convent in Belgium. But God had a better idea. The whole life of one who serves God should be to remain on the Cross with Jesus. I will try with all my strength to followin the footsteps of my Jesus. Iwill keep Him company int he Garden. Iwill keep Him company in the Praetorium. With a lance in my heart . 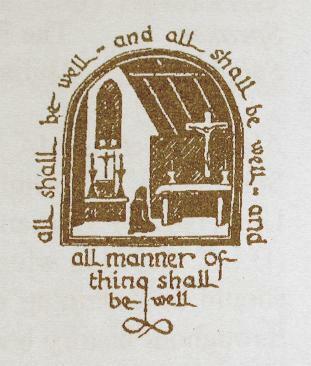 . .
To live these words Elizabeth sought and found strength in prayer, in the Mass and in the sacraments. There lay the secret of her heroic perseverance, as one by one her original helpers lost heart and walked away. It is worth noting at this point, that even of the six sisters later professed with Elizabeth only one persevered in the Congregation; that was Mother Mary Paul Taylor, a convert from Methodism and a consistently loyal friend of the Foundress. She was two years younger than Elizabeth and only died in 1903. Meanwhile, knowing that in the words of St Ambrose, 'God's will is the measure of things', Elizabeth calmly, generously and prayerfully, with her companions went ahead with the daily pressing work of helping the poor and the destitute who swarmed all around them. She waited on God. Gradually He revealed His plans to her through the directions of Father Gaudentius. Father Turner (later to become the first Bishop of Salford) and Provost Croskell, Parish Priest of St Chad's, Manchester, where Elizabeth taught. The year was 1851, the year of 'The Great Exhibition' at the Crystal Palace, London, in honour of Queen Victoria. The Crystal Palace was the first large pre-fabricated building ever erected, with its 3,300 identical supporting columns. The same year, 1851, saw the publication in the United States of Uncle Tom's Cabin by 39 year-old Harriet Beecher Stowe, which rocked the very foundations of the United States' Slave Trade. These were 'big' events which got much publicity but are almost forgotten today. Elizabeth Prout's humble doings in Manchester in the same year, unnoticed at the time, are now being remembered the world over. That is God's way. He exalts the humble who trust in Him. In the course of his priestly duties Father Gaudentius came across several young women of little education and no means who expressed a longing for religious life. He discussed with Father Croskell and with Father William Turner the possibility of forming a religious institute which would receive such young women. It was a very new idea, because these candidates would not be 'lay-sisters' but equal in rank to any other member of the group, educated or with dowry. Each would earn her living by doing the work shich she was brought up to do, including work in the mills. After much deliberation, the three priests decided to give the project a trial. Elizabeth Prout was asked to be the leader of the group as she was the only one among them who had any experience of religious life. In March 1851 the venture was formally launched, by which date, only two of Elizabeth's original twenty-nine or thirty companions were still with her. The three moved into a house provided for them not far from St Chad's, 69 Stocks Street. They called it St Joseph's Convent. During the following months more candidates presented themselves and, on November 21 1852, Feast of the Presentation of Our Lady, Elizabeth and six companions received a religious dress at a ceremony at St Chad's Church. The Institute was to be known as 'The Catholic Sisters of the Holy Family'. It was the end of the beginning. This new 'Yes' was for Elizabeth, now Mother Mary Joseph of Jesus, a free and public declaration of her personal involvement in the suffering of Christ. Humanly and prudently speaking, it was the worst possible time for such a venture. Sectarian troubles in and around Manchester were growing increasingly violent and the Stockport riots which broke out in June between Irish immigrants and an English mob escalated to an alarming degree. The windows of a Protestant school and some neighbouring houses were broken; Catholic churches were devastated and desacrated, and at one point 'several constables were seen taking part in the destruction and in the following days Orangemen from Manchester were seen departing with relics from the debrisè (St Dominic Savio, p. 157). No wonder Manchester Catholics were terrified. But Mother Mary Joseph, frail though she was, was not a woman to be daunted by threat of physical danger, once she believed that she was where the Lord wanted her to be and doing what He wanted her to do. So she took the risk. If we were to ask Elizabeth Prout to explain the thinking behind this new kind of religious life she might have said something like this: 'No-one who loves God and wants to give her whole life to loving him and caring for his children will be turned away because she brings no money or is not educated. If God is calling her to Him we will welcome her. We will earn our own living and there will be no difference in dignity between a sister who works with her hands and a sister who teaches in a school. We believe that God loves all people and we will share his love with those in greatest need by serving them with our minds and with our hands'. It was a beautiful ideal, born of the needs of that time, not so surprising to us today, perhaps, as it was to the Manchester folk of Elizabeth's day. As well as enough active work to enable the sisters to earn sufficient money to live, Father Gaudentius stressed the need for a vigorous prayer life, with time for contemplation and devotions. Many of Manchester's priests and nuns were critical of the infant Institution with its 'revolutionary ideas'. And in practice, the hardships and poverty of the life made it very difficult for the sisters to survive. Indeed for a time it looked as if the sceptics would be proved right. But there were priests in Manchester who desperately needed the help of these new nuns who would go out of their convent to serve the poor where the poor lived. In 1853 the parish priest of St Joseph's, a new parish, asked Mother Mary Joseph to start a school for his children. It would be a particularly hard undertaking, for it was in a 'densely populated' part of Manchester where the majority were 'poor Irish Catholics'. The school was a long way from the convent, so Mother Mary Joseph, who found walking painful because of her bad knee, with her companions ech day, walked both ways to the over-crowded little school of just two rooms. She saw clearly that without education there was no future for Manchester's poor; without education they could never make their voice heard, never be listened to by those who made their lives a misery. And worse still, they would have little chance of learning how much God loved them, even the wildest smongst them! They needed teachers to tell them this, and so Mother Mary Joseph endured the agony of her painful knee, and the exhaustion of the long walks (often on an empty stomach) to instruct and uplift them. From official records we know that God blessed their generous efforts; but of course, the inevitable happened. One of the sisters at the school caught typhoid fever. It was a disaster for the whole community. Because they could not work they had no money coming in. They were destitute. Only for the help they received from some religious orders and some kind friends, their story would have ended there and then. One of these friends was a Dr Walsh. He not only gave his services free of charge, but later arranged for the Sisters to go for a rest to the house of a priest friend of his as it happened to empty just the,. Not long afterwards the Bishop found the community a larger convent at Levenshulme, on the outskirts of Manchester. During the epidemic, early records tell us that Mother Mary Joseph, practically dying on her feet herself, nursed the whole community. Alone, Mother Mary Joseph cooked, did the lceaning, nursed the Sisters, and rose during the night to attend to them. By now she had become totally 'a woman for others', completely without self-pity. Physically life for Mother Mary Joseph was a ceaseless daily struggle to keep on her feet. The community rose at 4.00 a.m. and after prayers and a meagre breakfast set out for the day's work. For Mother Mary Joseph this meant a long walk to St Joseph's School, a hard day's teaching in an overcrowded classroom, another long walk home, prayer, supper and night school! Sewing is so unproductive as to make it necessary to work night and day to make the very poorest living. Yet Father Gaudentius could not understand why the Sisters had not set up a large workroom with a shop in which to sell the goods made. 'If I try to reflect on some part of Our Lord's Passion', she declared, 'I am sure to begin to think of something worldly in a minute or two'. No visions or ecstasies for the poor harassed superior! Father Gaudentius' disappointment and disapproval she accepted as her just deserts and her grief and dismay were genuine when, in 1855, he was sent to work in America by his Superior General. Father Gaudentius' willingnes to listen to tales told by the Sisters he thought more of than he did of Mother Mary Joseph, and his failure to see through their pious pretences, was, however, to cause grievous trouble to Mother Mary Joseph before very long. Father Gaudentius' place as guide and guardian of the struggling Institute was taken by another Passionist, Father Ignatius Spencer, an Englishman and like Mother Mary Joseph, a convert. But he came from a totally different background. Wealthy and an aristocrat (he was the great-great-great uncle of Princess Diana!) George Spencer, youngest son of the second Earl Spencer of Althorp, near Northampton, was born in the Admiralty on December 21st 1799, and baptized into the Church of England. The Spencer family was famous not only for its broad acres (about 26,000 of them, it was said, in young George's time) and its lbirary, reputed to be one of the finest in Europe, but also for its patriotism and spirit of public service, so much valued in Victorian England. George Spencer gave up all this, as well as a prosperous livelihood as an Anglican priest, to become a Catholic priest and, eventually, a Passionist, taking the name of Ignatius because of his admiration for Saint Ignatius Loyola, founder of the Jesuits. Like Elizabeth Prout, he too was disowned by his utraged family 'even his portrait was removed from the family gallery'. Father Ignatius was a truly holy man, with an extraordinary love of poverty for a man born and brought up in such wealthy surroundings. His manner of directing the Sisters was gentle, liberating and encouraging. Mother Mary Joseph's soul blossomed under his radiant influence and she hugged to her heart his burning words on the one thing necessary: 'To love ur Lord Jesus Christ with an immortal love'. She tried with all her strangth to live out his recommendation of meeting every contradiciton, every humiliation, every trial 'with a joyous Deo Gratias!' She was soon to have plenty of opportunities for putting that recommendation into practice. In 1857 she discovered that one of her superiors, Sister Clare, who was in charge of the convent in Levenshulme, had incurred large debts, and to try to pay them off Elizabeth had to get permission from Bishop Turner to beg, in Lancashire first, and then in Ireland, where she and a companion when on November 24th 1857. She, Sister Mary Paul Taylor and Sister Philomena had renewed their vows privately on November 21st, the other four Sisters having left the Institute. Financially, the questing tour was no great success - everybody in need of funds seemed to be questing in Ireland, even Catholics from the United States! But as well as some 'rebuffs' the two Sisters 'received the greatest kindness from priests and people', and especially from the Presentation Nuns at Fermoy, Co. Cork, where they had their base. After two months in Ireland Mother Mary Joseph and her companion, Sister Catherine Scanlon, returned home one January 27th 1858 to face another shattering trial. Sister Philomela, who had renewed her vows the previous November, and who had been left in charge of the Levenshulme convent instead of Sister Clare, had spent the time preparing to enter the Cistercians of Stephill in Dorsetshire, had taken no care of her community, had written to Father Gaudentius in America giving him the worst possible picture of the state of the Institute and had then left. (Not surprisingly she did not stay long with the Cistercians.) Father Gaudentius appears to have blamed Motehr Mary Joseph for all these troubles as if she had not had enough to put up with. Then, on May 10th, a young sister from the same Levenshulme community died of T.B. It was the first death in the Congregation and Mother Mary Joseph felt it intensely. And so it went on. Some clergy lent a willing ear to the slanders and the Catholic Sisters of the Holy Family would have been suppressed if God had not raised up a defender in the person of the Passionist Father Bernard O'Loughlin, whom Mother Mary Joseph had engaged to give the Sisters a Retreat. Hearing from the Bishop about the state of affairs, Father Bernard told the Bishop that 'he could not give the Retreat under such circumstances, nor could he profess novices as intended'. The Bishop then decided to appoint 'a Commission of Enquiry' immediately. Three Canons, each of whom had some acquaintance with the Institute, formed the Commission. Father Barnard insisted on being present as each Sister was interviewed in turn bythe Commissiooners, Mother Mary Joseph being the last to be summoned. The suspense was unnerving. Poor Mother Mary Joseph did not know whether the Commissioners would recommend the disbanding of the Institute with all the misery that that would bring for herself, for the other Sisters, for the novices and for the poor whom they were helping. We can imagine her humble prayerful questioning of theLord during these harrowing hours. 'Was it by accident, Lord, that I came to Manchester? I was alone and penniless and I had to earn my living. But all the time I felt you were drawing me there. There was something you wanted me to do. I saw how the children were growing up in ignorance. And then I met the mill girls and the young men crowding into Sunday School and Night School, eager to learn. And as I crossed the dark city at night, I saw the others: women shouting and screaming in the doorways of public houses, women lying dead drunk in the gutters. Men fighting like beasts. Children patched with sores and seamed with lice, wandering in the rubbish dumps with the starving cats. This is not how men and women should live, Lord. You love everyone of them . . . And yet they do not know you . . .
She was left in suspence. The three Canons left the Convent without a word after completing the investigation. Father Bernard knew that Mother Mary Joseph's name was completely cleared, but he did not know whether the Bishop would let the Institute continue. It was not until the following day, July 7th, that when Father Bernard went by appointment to see the Bishop at noon, he got the good news: 'The Canons are satisfied with the investigation. The Institute is to continue and now the Canons will in future be in favour of them'. The relief of Mother Mary Joseph and her Sisters was almost too great to be borne. Father Ignatius had been away in Ireland during their terrible ordeal and he thanked God for Father Bernard's championship of their cause. He urged the Sisters not to be downhearted because of the malice of those who had left them. 'Take courage', he would say. 'If they wish to kick and bite and run, let them. The children f St Paul of the Cross did the same. But God gave him others more faithful and worthy, and so He will give you. If they all go, God speed them. We can begin again with God's blessing. His words were prophetic. God did send the very people the Institute needed to reinforce the faithful ones who, with Mother Mary Joseph, had stood firm under attack. The previous year, 1857, Father Ignatius had himself sent Teresa Mary Hynes, daughter of a well-known Dublin Lawyer, to the Institute. She was to prove a loyal and dedicated sister who, as Mother Benedicta Hynes was novice-mistress for twelve years and then Superior General. Three years later, in 1860, Father Ignatius was instrumental in sending Honora Chambers to join Mother Mary Joseph. While visiting her priest uncle in Co. Clare, Ireland, Ignatius had spoken to Honora about the infant Institute and its problems. Honora decided that that was where God wanter her to go. A born leader, confident, dynamic, energetic and compassionate, Honora was the product of a happy, cultured and deeply religious Irish family. She was just the type of sister Mother Mary Joseph needed and the Foundress trusted her enough to appoint her Superior of a new convent on her Profession Day. Seven years later, at the incredibly young age of twenty-nine, Mother Mary Margaret Chambers (to give her her religious name) was elected Superior General. She ruled the Institute for eighteen years, stabilizing and expanding the work of Mother Mary Joseph. In that same year, 1867, Mother Mary Margaret's sister entered the Order and gave it many years of devoted service. came after her would build. Despite her deteriorating health she persevered quietly and persistently towards her goals: religious and secular education for the poor, hostels for young working women and some degree of domestic training for working girls. In 1862 Manchester suffered a 'cotton famine' because the American Civil War had broken out and supplies of raw cotton were cut off. Manchester's mills were closed. More than 50,000 people in Aston-under.Lune, a district near Manchester where the Sisters had a convent, were registered as destitute. Mother Mary Joseph sent four Sisters to teach the 3Rs, sewing and cookery to the unemployed and soon up to 600 Catholic factory girls were attending these classes in St Ann's Hall. In August of the same yer, 1862, Anne Prout, Mother Mary Joseph's mother, died. Elizabeth's grief was lessened by the fact that her beloved mother had become a Catholic some time before, and had been reconciled to her daughter. Indeed, a tradition in the Institute tells how Mrs Prout used to visit the convent in Sutton often and bring 'goodies' for the Sisters. Her father, Edward Prout, died the following January, and again Elizabeth had the consolation and joy of knowing that he had come back to the Church before his death from a sudden stroke on January 26th. 'Do you not see that God is asking you for the rarest thing you can give? Give your good name them freely, and thank Him for taking it. Don't you see that by this you are resembling Him more clearly? . . . Let us resign ourselves unreservedly into His hands. Her reply was her final and most costly 'Yes'. 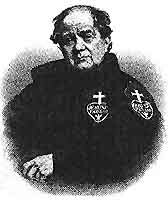 Father Ignatius presented the revised Rule to Rome and on May 1863 a temporary approbation was granted for the canonical establishment of the Institute. On October 23rd the first General Chapter of The Sisters of the Holy Family was held. Though now terminally ill, Mother Mary Joseph was unanimously chosen as the first Superior General of the Congregation. And on January 11th 1864, her work completed Mother Mary Joseph died peacefully at Sutton Convent, as the evening Angelus was ringing. Father Ignatius was there to assist her. She was forty-three years old. Within the year, on September 30th, Father Ignatius too went to his reward. He had concluded his mission in Scotland and was making his way (on foot) to visit a friend, when he suffered a heart attack, and died by the roadside. It was a sad and lonely death for the saintly Passionist, who like Mother Mary Joseph, had said 'Yes' in every sacrifice for love of his Crucified Lord. 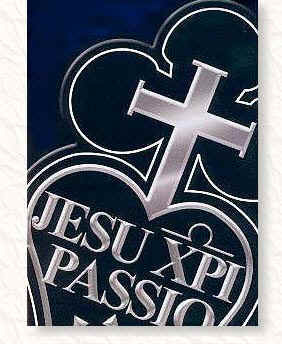 A little more than ten years after Mother Mary Joseph's death, the Passionist Fathers allowed the name of Mother Mary Joseph's Institute to be changed to 'Sisters of the Cross and Passion' and gave the Sisters permission to wear the Passionist Sign. In 1887 Rome granted final approbation of the Rule, and the Congregation of the Cross and Passion officially took its place as a religious family in the Church. Devotion to the Passion of our Divine Saviour is now also a special characteristic of the Sisters, and I am very pleased with this new improvement. For more than a century after her death little attention was paid to the memory of Mother Mary Joseph, even within the Institute she had founded. But God was simply biding His time. As a result of Vatican II directives to return to the original spirit of the Institute, research into the life, spirit and times of our Foundress was initiated and the heroic nature of her personal holiness began to emerge. The hands still witnessed to the development that comes from hard work, the knee to the tubercular condition that caused her death. Several weeks later, on July 30th, the bodies of both Mother Mary Joseph and Ignatius Spencer were re-interred after a solemn Mass of Thanksgiving in St Anne's Church, Sutton, Lancs, where Blessed Dominic Barberi had already been laid to rest. One answer surely is that Mother Mary Joseph's life and work have a strong clear message for our time, as we enter the third millenium. She dared to say 'Yes' to God, to let Him use her, when there seemed no road for her to follow. She dared to sacrifice family and friends for the sake of holding on to the Mass and her Catholic Faith. She challenges us to follow her example. It is my view that Mother Mary Joseph built on Blessed Dominic's Passionist vision, but developed it beyond anything he had ever envisaged. I think her own insights as a woman, her ability to analyse English society, and her daily experience of living directly with the poor, meant that she journeyed to new lands of Passionist vision, theology and spirit . . .
We are honouring Mother Mary Joseph today as a woman of totally unique spiritual revolutionary vision. He could almost be talking about a post Vatican II Mother General! Lord, receive our prayer in thanksgiving for your grace bestowed on Mother Mary Joseph. We thank you for her unconquerable courage and her love of your poor ones, and we ask you for the grace to continue her work in our time. Through her intercession, grant us the favour for which we pray. Dr. Edna Hamer (Sister Dominic Savio, C.P.) Elizabeth Prout, 1820-1864: A Religious Life for Industrial England. Oxford: Blackwells, 1994. Joan Cooke. Documentary on Mother Mary Joseph. Unpublished. Sister Pauline Therese Leverage, C.P., and Miss Joan Cooke, for their constructive criticism; Sister M. Lydwina Farrell, C.P., for much practical help, Mrs Caroline O'Farrell for preparing the text for the printer.